Get a good night sleep for yourself and for your sleeping partner. Comfortable to Wear & Fit Perfectly. When we are asleep, our muscles narrow and become relaxed. They may even sometimes close off temporarily. The air passing through this smaller opening can cause the tissues surrounding the opening to vibrate, which in turn can cause the sounds of snoring. 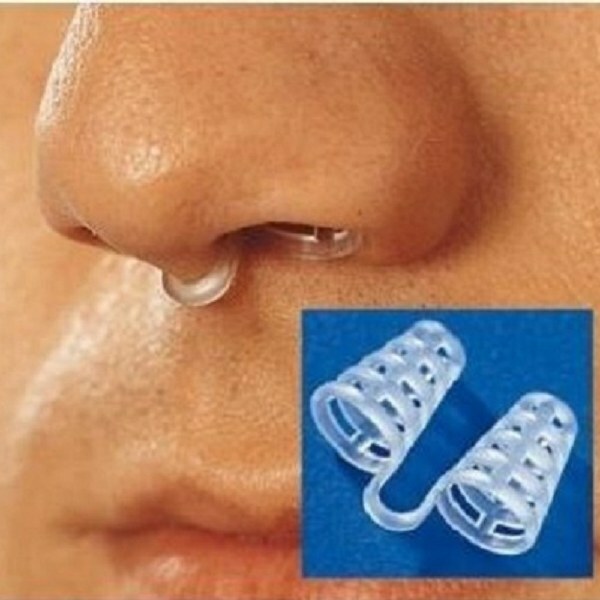 Snore Stopper keeps the nostrils open, thus maximizing the airflow in the nasal passageways. This effectively eliminates the snoring sounds. The Snore Stopper is a fast and simple solution to effectively stop snoring. It&apos;s comfortable and non-invasive, and best of all, it&apos;s invisible. One size fits most. Get a good nights sleep for yourself and for your sleeping partner.